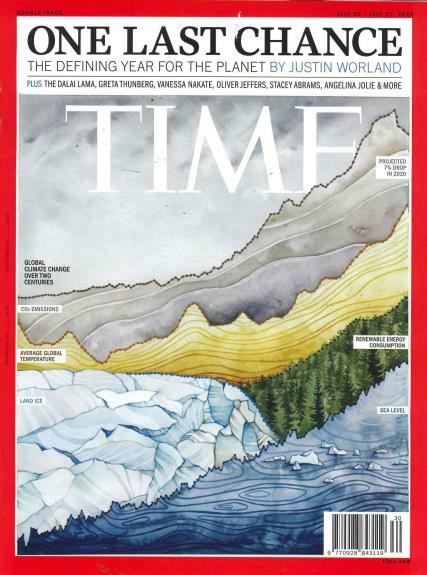 TIME magazine covers lifestyle, culture, business, politics, science and the environment with lively articles, lavishly illustrated with stunning photography. TIME magazine brings you the news that matters every week. It covers lifestyle, culture, business, politics, science and the environment with lively articles, lavishly illustrated with stunning photography. Your subscription rate includes the benefits of All Access. This entitles you to download the TIME digital edition for the iPad® and view subscriber-only content on Time.com. Time Magazines Europe Ltd (TMEL) publishes eight double issues. Each count as two of 52 issues in an annual subscription. TMEL may also publish occasional extra issues.